Moving forward, Adult Beginner Fencing will be combined with Advanced fencing classes Saturdays 10:30 – noon. Foilists that would like some extra time on the fencing strip are invited to audit my Saturday class from 10:30-12:00. Epeeists are invited to join my Adult class from 9:00am to 10:30. Unless otherwise scheduled, the gym will close at 12:00pm. Let’s fence on the 2nd! The club will be closed on Thanksgiving and the Saturday after Thanksgiving, November 25th, 2017. I resisted successfully for years, but finally had to remit. 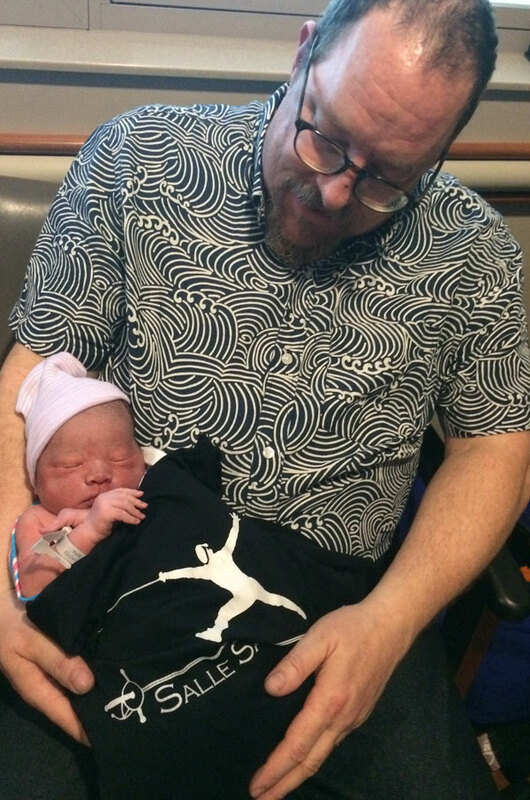 Our continued club growth (combined with the new addition to my family… aka “The Gibson Effect”) has made it difficult for me to keep the paperwork straight. So, after considerable research, I decided on an online payment process program best suited to streamline and automate our tuition gathering and scheduling processes. Moving forward, new and existing students will sign up and login to Zen Planner to sign up and pay for classes and private lessons. The system will require online signing of a waiver for both new and current students. It will record attendance, send receipts for payments, will send automated renewal reminder emails and more. Additionally, if you wish to automate and streamline YOUR life a little, together we can set the system to automatically charge your credit or debit card or ACH transfer straight from your bank account. Once again, I cannot express how honored and lucky I feel to be your fencing coach. I could not have imagined a better life for myself than to show others what a great sport we get to enjoy. Our forthcoming years will be filled with much learning laughter and joy, and I am beyond happy and proud that you continue to choose allow Salle Santa Cruz/ Monarch Fencing be a part of it. Beginning Adult Fencing: Sat, 9:00am to 10:30 am. This will allow my Beginning class the entire gym to train while allowing the competitive class to easily transition to open fencing. 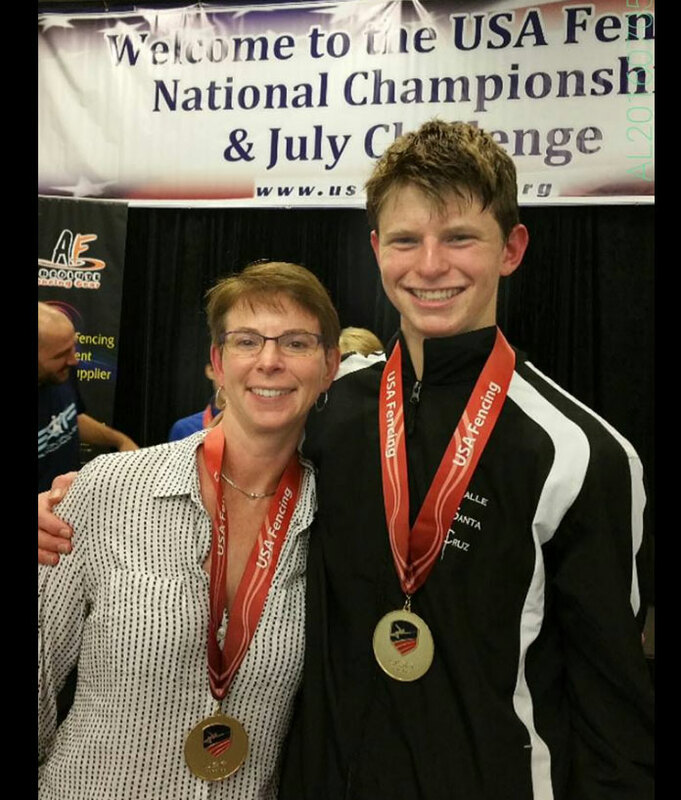 Grats to James Mulligan who won a gold medal in BOTH Div 2 and Div3 mens foil this year. This is by any measure a stupendous achievement! The last person to do this was Cody Mattern… who continued to become an Olympic gold medalist. 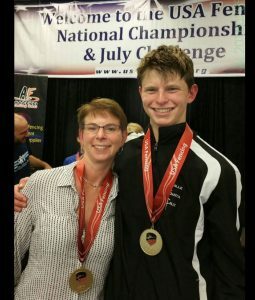 James and his mom Kim Bolin both learned to fence right here at Salle Santa Cruz! In addition to taking classes since day one, he’s been taking private lessons from club founder and coach Kevin Osborn for 3 years. Check out Mr. Mulligan’s Santa Cruz Sentinel news article here! baby, mom, and biological mom are all doing great! Posted in Uncategorized	| Comments Off on I can haz baby?